The shortest professional game in League of Legends history is a story of a charming outlaw, unrequited love, a heartfelt memorial and the bitter fury of a game developer scorned. 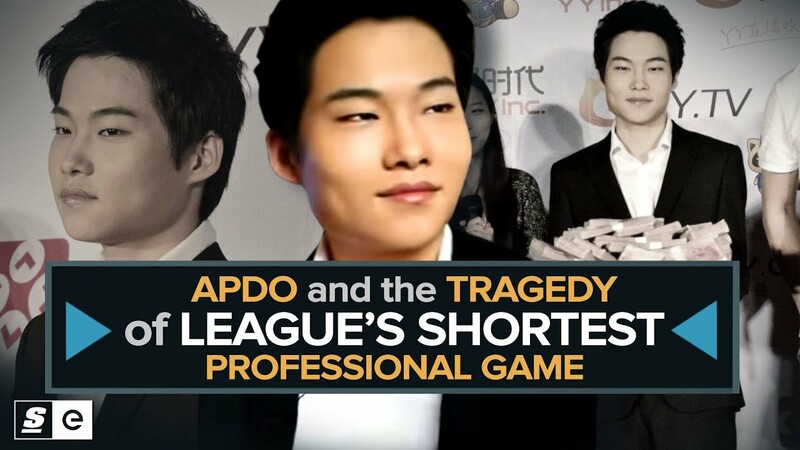 Jeon “Apdo” Sang-gil was once revered as one of the best League of Legends players in the world. He conquered solo queue, taking the top spot on the ladder in both Korea and China at the same time, playing four positions the whole time. But Apdo wasn't trying to sign with a pro team, he was Elo boosting. For more videos like this one, be sure to subscribe to theScore esports on YouTube.